Christopher S. Lee joined Gray, Rust, St. Amand, Moffett, & Brieske as an associate in 2017, and currently focuses his practice on public sector litigation, premises liability, products liability, construction liability, and insurance coverage litigation at both the state and federal level. Prior to joining the firm, Chris worked in Atlanta, Georgia for a civil litigation firm, focusing heavily on automobile negligence and premises liability. Chris received his bachelor’s degree in Political Science from the University of Georgia in 2012. He received his Juris Doctor from Emory University School of Law in 2016. 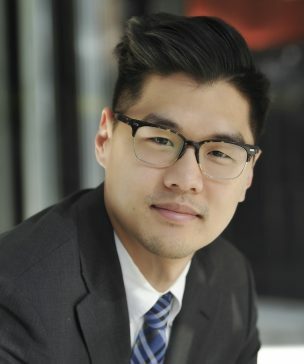 While in his third year of law school, Chris served a one-year externship with the DeKalb County District Attorney’s Office, where he was sworn in under the third-year practice act and gained valuable trial experience – an invaluable experience in his current litigation centered practice. He was also an active member in the Lamar Inn of Court and Asian Pacific American Law Students Association. Chris is an Atlanta native and graduated from Northview High School in Johns Creek, Georgia. Chris is also an avid Atlanta sports fan and cheers for the Atlanta Braves, Falcons, Hawks, and Georgia Bulldogs. While not at work, Chris also enjoys his time playing golf and basketball, playing in an orchestra, traveling, and spending time with his dog.